I’m currently in sunny Mallorca, Spain, celebrating my birthday and today, I want to talk about one of the hot topics in the business world which is Storytelling. There are people out there who aren’t using a really powerful story to build their business and to share who they are and win more clients. One of the things that inspired me to talk about this today is that in several of my upcoming speaking engagements the organisers specifically wanted me to tell my personal story. Stories help us differentiate ourselves, they help our clients choose to work with us. 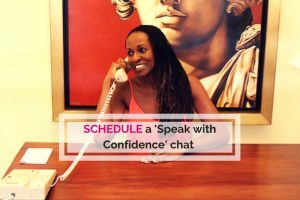 In my own case, new clients frequently come to me because they saw from my website that I was once a very timid speaker before I went on to be a performer and speaking coach. They feel that I’ll understand the situation they’re in. On a number of occasions, I’ve heard people – other coaches at times – say they don’t like to tell their own story and in fact think that stories are unnecessary. In these cases, it often turns out that the person in question has some unresolved issues and hasn’t fully dealt with their past. They’re afraid to tell their story because it will shine a light into an area of their life that they don’t want to be explored. If you have a story to share, don’t hide that, don’t be afraid, don’t think that it’s too boring or too emotional. There are ways that you can tell your story without some of the more emotional content if you want to. If there are issues that you haven’t dealt with yet, seek professional help from a coach or therapist so you can heal yourself and as a side benefit, eventually use your story to show how you’ve turned a mess into a success (to use the words of Judy Carter, comedian and speaker). Start by describing where you are now. Talk about the successes you’ve had, share your credentials. Where were you back then? Share your low point. The more dramatic that gap between where you are now and where were you back then the more interesting your story will be to your audience. In the “Then” period, make sure to stay there long enough so you can share the tough times you went through. Be descriptive. Share how you felt. Make sure that people really understand what it was like for you emotionally in that time so they will comprehend the struggles you went through to become successful. The transformation you’ve gone through is something you can help your audience with. It’s part of what qualifies you to do what you do! The “How” is how you managed to achieve success, and the steps you took to get to where you are today. If you’re making a talk to market your business, you might not give the audience a step by step account of how you turned things around, but you share enough for them to know that YOU know your stuff. 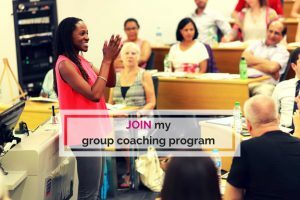 If it’s a paid talk and you’re there to educate and inform the audience, this part might be the meat of your speech where you share your golden nuggets for success and give them the detail on how they can achieve their goals. 1 – You’re leading by example. Clients will come to you because of the examples you set, showing what you’ve achieved in your life. I’m sure you can find a situation you’ve lived through that will inspire and motivate your audience. 2 – It’s part of who you are. Your story will demonstrate how you overcame your struggles before you became successful. You are not your story, but your story is a part of you. Take someone like Tony Robbins. He’s the epitome of the successful speaker and coach. He has a story about delivering hampers to poor people in the Bronx at Christmas time. I’ve heard the story at least 20-30 times from different sources but… it’s still very powerful! That story has become a part of Tony Robbins’ legacy. In the same way, your personal story is what people will associate you with. Eventually it will develop a power all of its own and will go before you as a demonstration of who you are and what you stand for. Don’t deny yourself this opportunity. 3 – Share your personal story because each time you tell it it will get better. People often say they’re bored of telling their story so many times. They want to talk about something else, ideally some fresh content. Fresh content is fine, but instead of getting rid of your story what about trying to tell it better, what about adding more dialogue, more humour and more energy shifts? Even if YOU’RE bored, your audience won’t be. Don’t discount the power of your story. It deserves to be told! 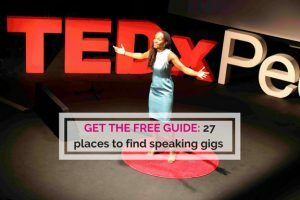 1 – Get my freebie – 27 places to find speaking opportunities.